In the warewashing business, we understand that you are measured by the quality of your products and equipment, and also performance. Partner with us, and we will work with you to reduce your energy costs by up to 20%, prevent breakage of dinnerware, become more energy efficient, and provide you with the highest quality products, and best practices in the industry with excellent results. 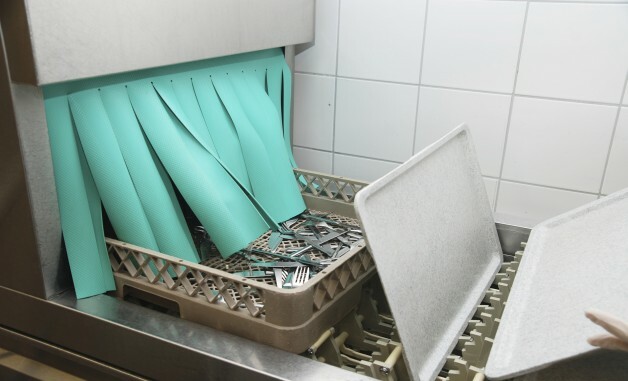 All Florida Paper has partnered with Spartan Chemical to introduce the latest innovations in warewashing, and maximize the efficiency of your operations. 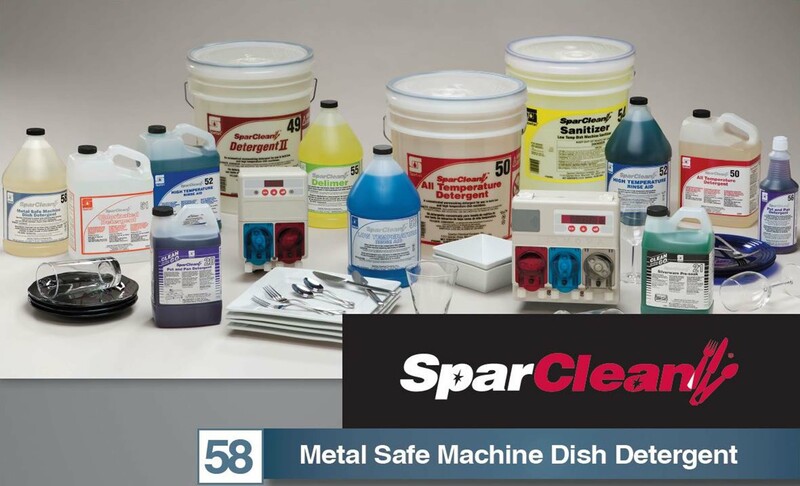 Spartan Chemical has been at the forefront of technical development since 1956 and thereby offers a complete line of warewash products. Their products consist of detergents, rinse aids, sanitizers, delimer, pot and pan detergent, and silverware pre-soak. When we service your business, you will not only get great products, and exceptional service, but you will also be improving the planet. As one of the nation’s leading privately held distributors, our actions have the potential to not only save you a great deal of money, but also, help ensure a better world for generations to come. We offer a wide selection of chemicals and dish machines that are Eco-friendly, and manufactured using the latest advances in technology. These innovations result in using less conventional materials, with better results. Our chemical products do not contain harmful compounds, such as Phosphates, Nonylphenolethoxylates, or Ethylenediaminetetraacetic Acid (EDTA), thus, reducing the negative impact on the environment. 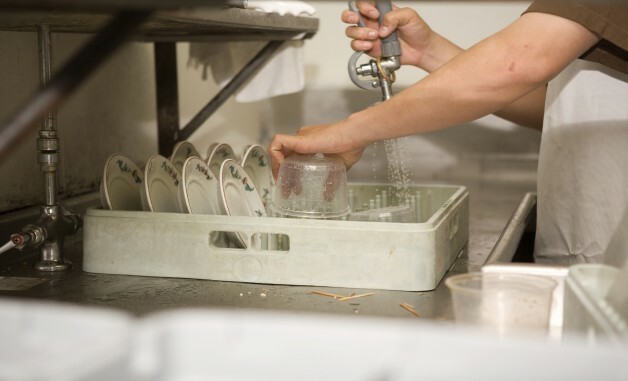 We also offer dish machines that are Energy Star certified, and LEED certified. All Florida Paper’s comprehensive warewash program will be customized to your specific needs. Our program relies on our experienced consultants getting to know your kitchen operations through testing, questions, and observation, so the program will be designed for your needs. 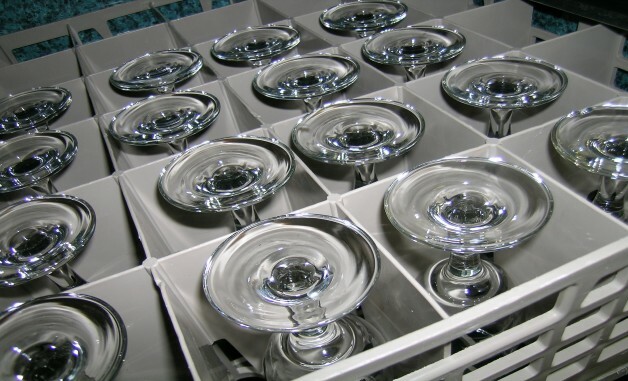 Obtain optimal results with ‘one-pass dish washing’. Simplify your wash cycle to reduce your labor costs, while maintaining optimal quality. Providing Eco-friendly products and services, resulting in operation costs becoming minimal, due to our program lowering your electricity and water expense. Make training of your staff on procedures and best practices as quick and simple. 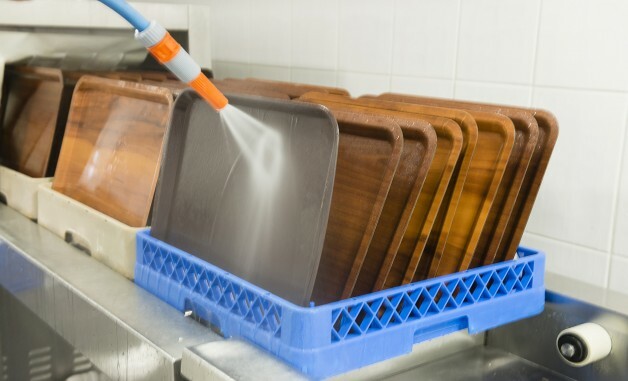 Remove tough greasy soils from dishes. Control the mineral deposits left by hard water and ‘food soils’ rapid evaporation. Maintain spray arm efficiency of your machine, providing optimal wash conditions. Control water conditions, and scale build-up. Break down stubborn food residues from silverware, utensils, and dishes.